The image uploaded with Salvini's tweet. Italy's populist coalition has reached agreement on the fate of 10 migrants the country agreed to take from Malta despite the fury of far-right anti-immigrant Interior Minister Matteo Salvini. Disagreement over the migrants, who arrived in Malta on Wednesday after being rescued in the Mediterranean and spending weeks stranded aboard an NGO vessel, has shaken Italy's coalition. Salvini, fellow deputy prime minister Luigi Di Maio of the anti-establishment Five Star Movement (M5S) and Prime Minister Giuseppe Conte, held talks late into the night on Wednesday. "There is convergence within the government on a hard line: ports closed, fight against smugglers and NGOs," Salvini said on Thursday. "And I add that any new arrival must not cost Italian citizens a cent," Salvini said, insisting that "it's the interior ministry that handles immigration." While Salvini has for months repeated that Italian ports are closed to migrants, Di Maio last week said that Italy should take in several women and children rescued before Christmas but stranded at sea after no port would allow them to dock. Conte, who was named premier by Salvini and Di Maio, agreed with the latter, whose party does not have the same hardline anti-immigrant position as Salvini's League. Italy became one of eight EU nations that on Wednesday agreed to take in some migrants from Malta. Salvini was infuriated by that decision and a compromise was agreed by which Italy's Waldensian Evangelical Church would take in the 10 migrants. The church has been involved with so-called "humanitarian corridors" that help asylum seekers come to Italy, assisting them with housing, Italian language learning and skills training. But Salvini also demanded that other European nations fulfil their promises to take migrants from Italy. 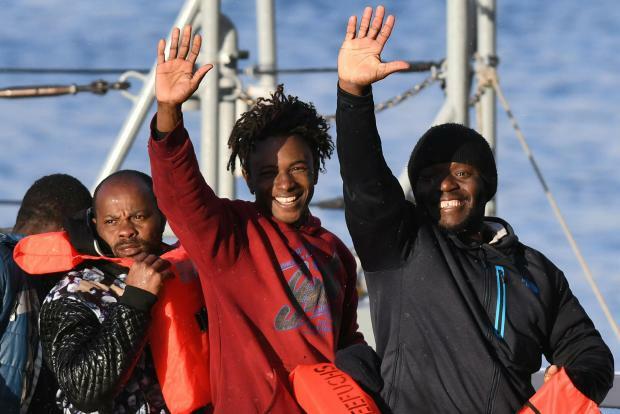 In July 2018, Germany, France, Portugal, Spain and Malta agreed each to take in 50 of around 450 migrants disembarked in Sicily by the Italian coastguard vessel Diciotti after being rescued at sea. According to Salvini, France has taken its 50, but Germany only 23, Spain 21, Portugal 19 and Malta none. Ireland, which said it would take in 20, has received 16 migrants, he said. 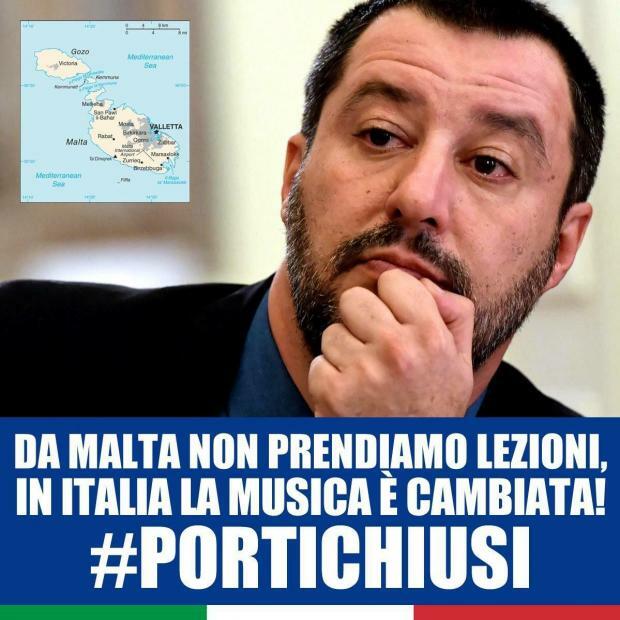 The Maltese government on Thursday voiced "disdain and surprise at the inaccurate allegations by Minister Salvini", pointing out that Italy had promised to take 50 migrants from Malta and that the two countries had agreed the two deals cancel each other out. "We're not going to take any lessons from Malta, which closed its eyes for years so that boats could head for Italy," said Salvini. "The music has changed, you can only come to Italy if you have a permit. We've already taken in too many, it's time for others to wake up."